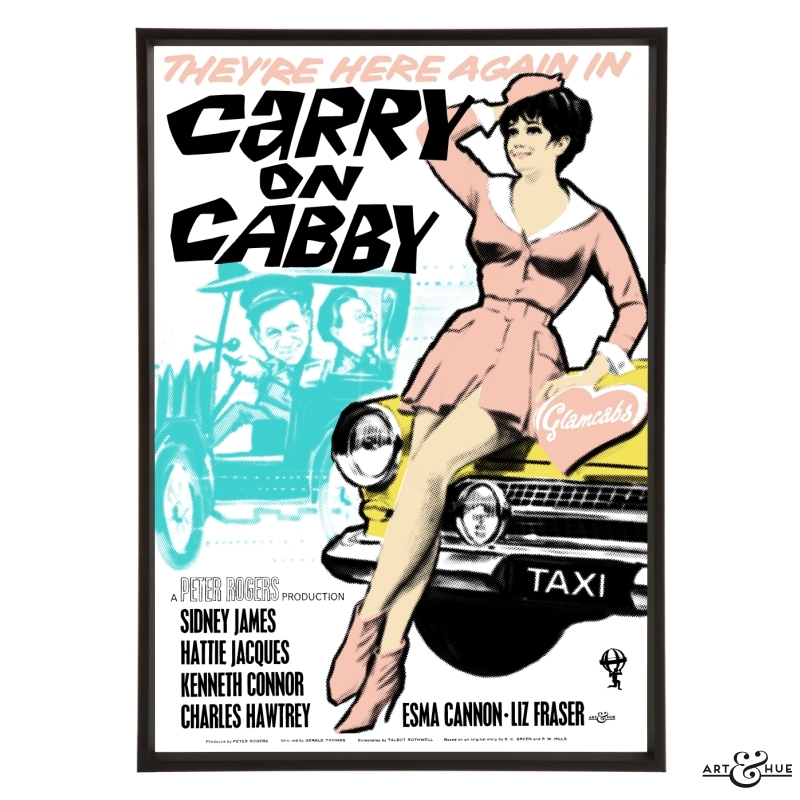 All 12 pop art prints based on the posters from the first 12 Carry On films. 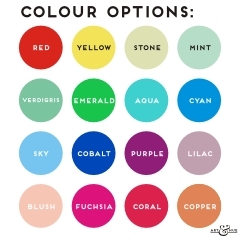 Available with or without billing/credits text, choose from numerous colours – mix or match to suit your space. Billing text is the names of cast and production companies. Choose with or without. SKU: N/A. 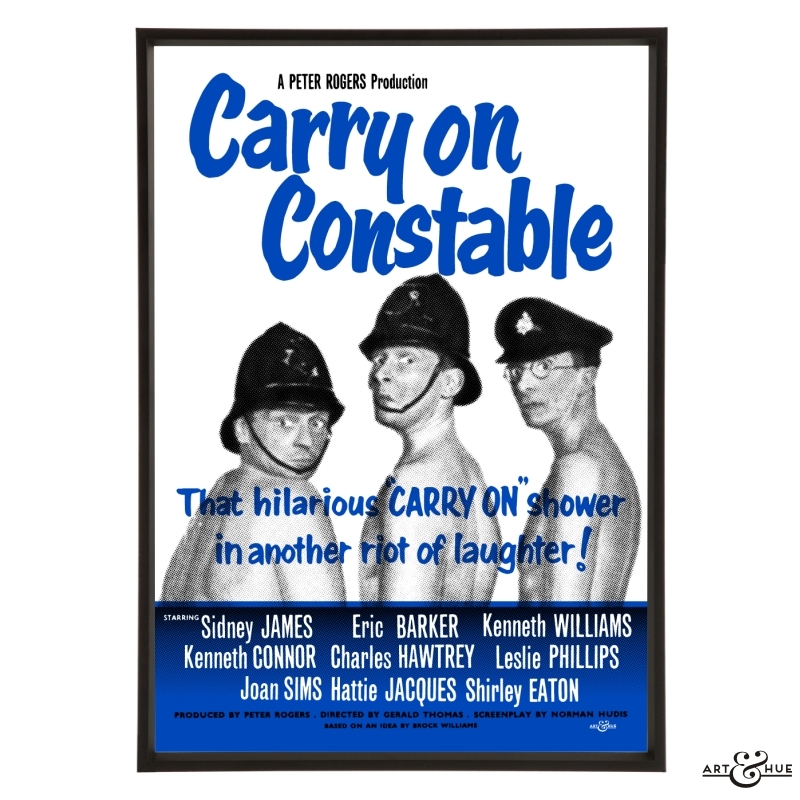 Categories: A2 Art Prints, A3 Art Prints, A4 Art Prints, Art Prints, Carry On, Carry On Posters, Carry On Team, Group, Home, twentysixteen. 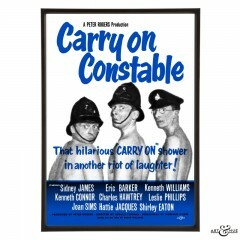 Tags: 2016, 2017, 2018, Barbara Windsor, Bernard Cribbins, Carry On, Comedy, Cult, Film and TV, Group, Kenneth Williams, Retro, Sid James. 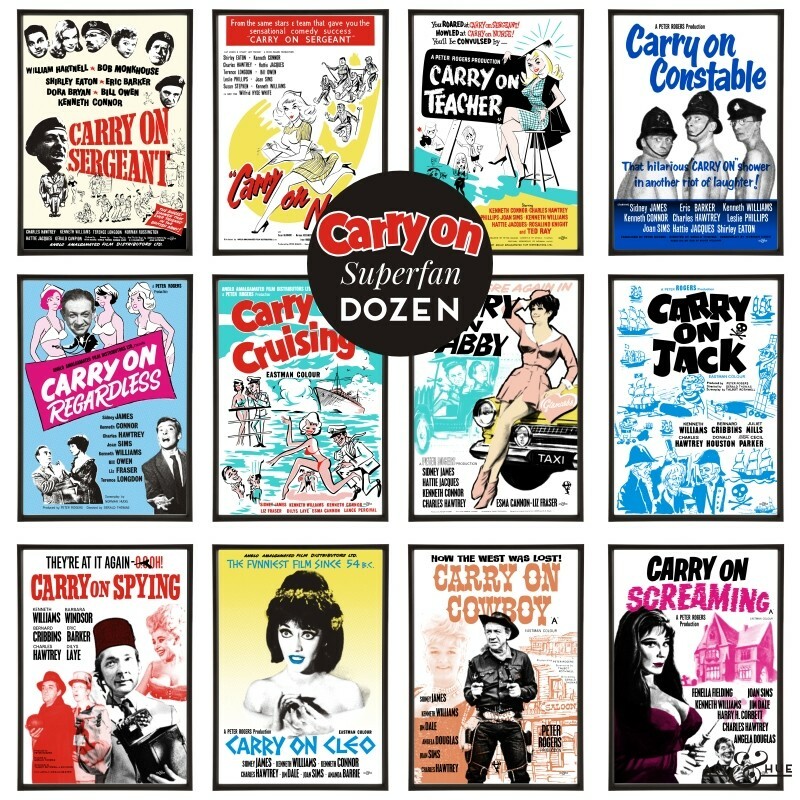 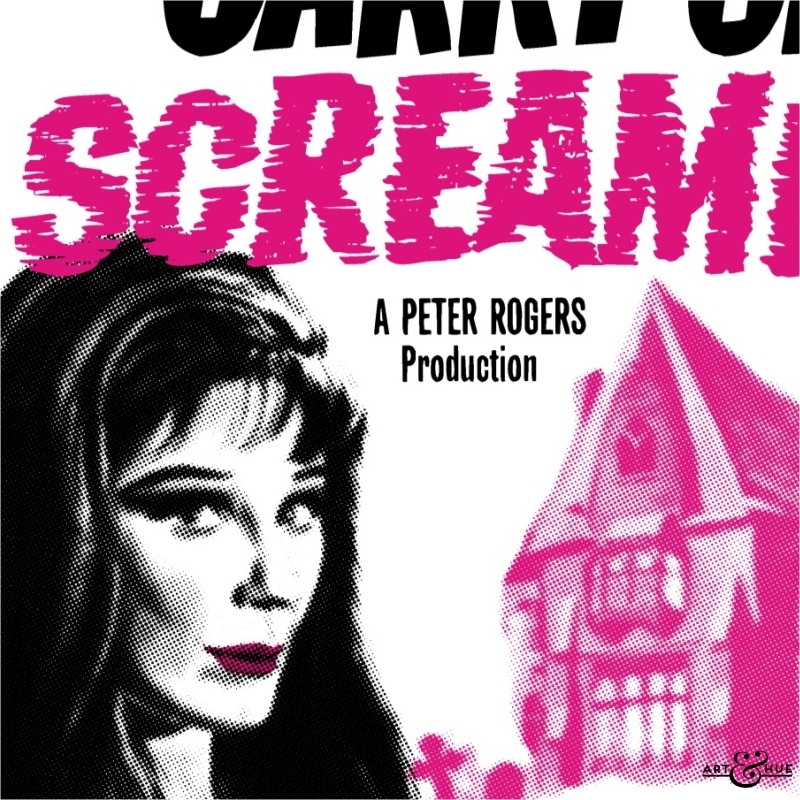 All dozen pop art prints by Art & Hue based on the posters from the first dozen Carry on films – for yourself or as a gift for a superfan of the comedy film series. 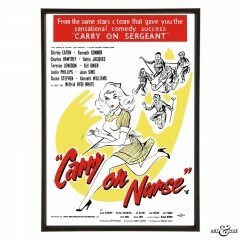 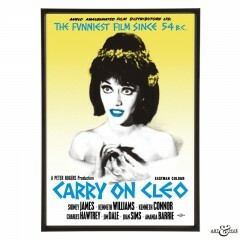 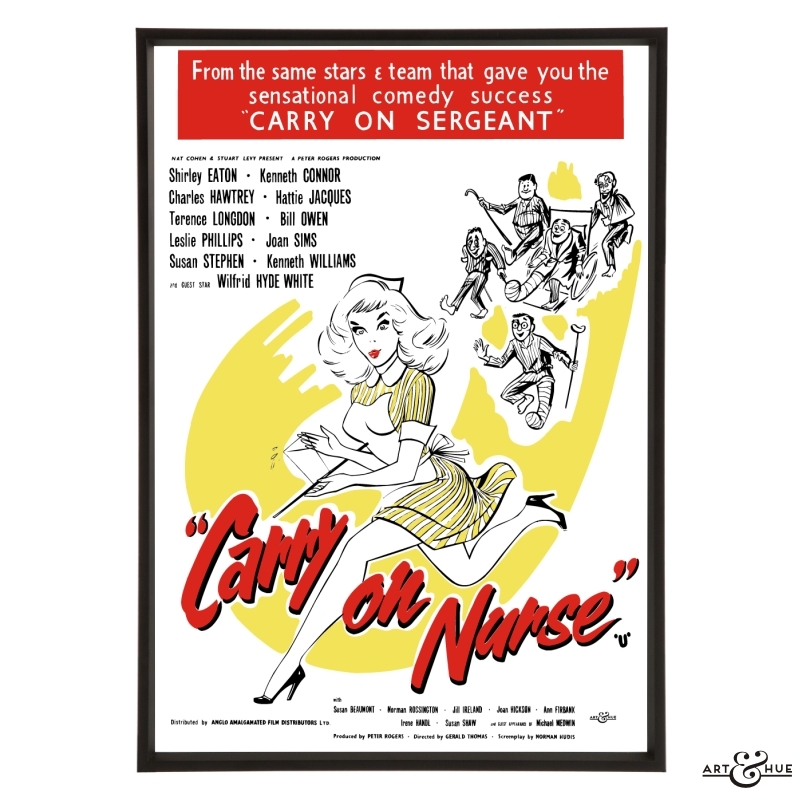 Art & Hue had the pleasure of diving into Studiocanal’s extensive library of production and publicity photography at Pinewood Studios to create this group of exclusive pop art prints in homage to the Carry Ons. 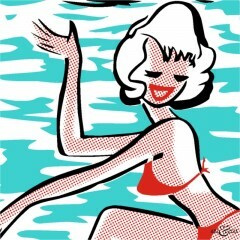 An official collaboration with StudioCanal, these prints are the new collection of graphic pop art by Art & Hue inspired by images from the photographic archives of the comedy film franchise filmed at Pinewood Studios, in Art & Hue’s signature halftone Pop Art style (halftone is an age-old technique that uses dots to make up the image, similar to newspapers or comic books).